BT has a long history of fantastic research and innovation. It stems right back to 1837, and a famous partnership of Wheatstone and Cooke who developed the Electric Telegraph and gave time to the nation. The Electric Telegraph Company was then formed in 1846, the precursor company to BT. There was a key principle established through this partnership: one of taking real science, and engineering from that a solution with meaningful purpose for industry. Over time there has been BT invention after BT invention, all predicated on this fundamental principle. We continue today: our research programme at BT Labs is built upon a suite of partnerships between academia (including over 40 universities) and collaborations across industry. We look carefully at how we derive the maximum amount of value from this research and the innovation that we find, to benefit and enable the business and our customers. We drive a whole host of activities to maximise the opportunity to find innovative solutions. 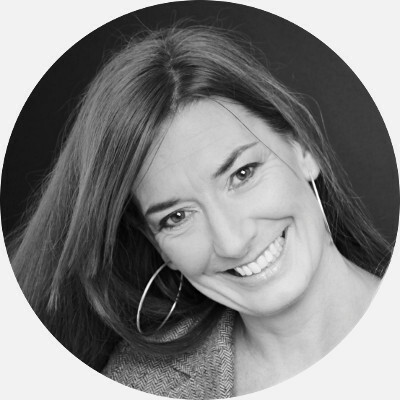 It can be through our research programmes, or indeed other initiatives such as Tommy Flowers Institute, TEAC or a whole catalogue of other thought leadership engagements. We benefit from actively growing the Innovation Martlesham Cluster and we have developed a global presence that means we can feed from scouting activities or other established innovation centres worldwide. All in all, the park sees more than 50,000 visitors a year and many VIPs, all interested in immersing themselves in the innovation and expertise based on site. BT Labs has been at the heart of BT's research, development and innovation since 1974. BT's 'purposeful innovation' is where the pursuit of scientific breakthrough is married with practical engineering not only to power BT but to transform the world. Indeed our very origins, in the founding of the Electric Telegraph Company in 1846, can be traced back to an entrepreneurial fusion of business and innovation. On 12th June 1837 William Fothergill Cooke (an entrepreneur and business man) and Sir Professor Charles Wheatstone (an academic) filed a patent for the world's first practical electric telegraph. These collaborators were excited by the commercial potential that the recently discovered phenomenon of electricity and magnetism could offer for communications. Following commercial launch in 1838 it was Cooke who founded our forebear the Electric Telegraph Company in 1846. Throughout the intervening years we can see our company creating, embracing and exploiting technological innovation to change the world. In more recent times, the first commercial single mode fibre system in 1983 was the product of research in BT Labs at Martlesham in the early 1980s. More recently, in 2003, it was our VDSL interoperability testing that helped establish the global standard for the VDSL technology that is powering today's fibre programme and our leadership in optical fibre continues with our 2014 demonstration of transmission at 3Tbps over 360km. Today our labs are leading the world in deriving standards for the next generation of fast copper systems and a new approach to ultra-high capacity core networks - our current BT purpose statement is therefore a rather snappy summary of something we have been doing for a long time. For more news take a look at our news page. Dublin, Antwerp and Manchester will gather fresh insights into cycling through a new project with BT's IoT data hub, and IoT smart lighting. 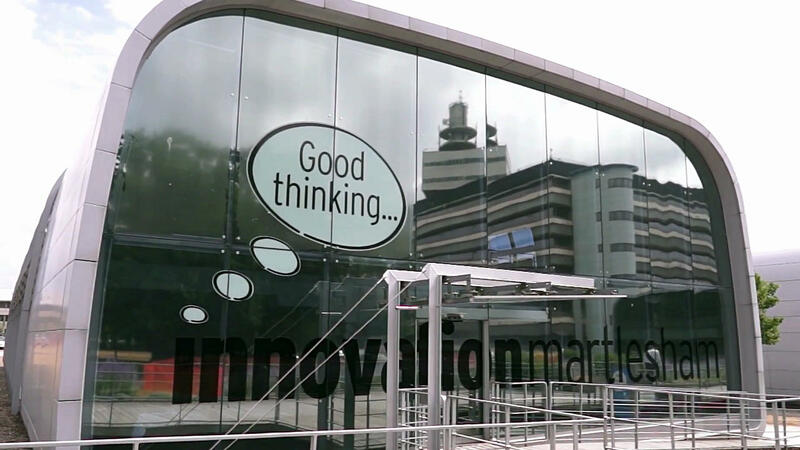 Innovation Martlesham is the cluster of over 100 ICT companies on site at Adastral Park which acts as a crucial ecosystem for the creation of new ideas into BT as well as providing vital support for existing services. The Innovation Martlesham companies resident within the cluster range from multi-national corporates such as Cisco, Huawei, Nokia and Ericsson through to some of our junior companies with only a handful of staff. The co-location of these major global telecom infrastructure providers provides BT immediate access to discuss new and emerging technologies from these players whilst also having direct support for the ongoing services that they already provide to BT. This is critical for instance when the Network Operations Centre picks up unusual behaviour that points to a specific piece of technology which can then be triaged in real-time with on-site support. BT is an important member of Innovation Martlesham both as a channel for some of the exciting ideas that the resident companies create as well as the anchor tenant offering introductions to some of its customer base, which creates further opportunities for the other companies. Many of the companies have the opportunity to work directly with BT's research and innovation team based at Adastral, and that can include showcasing their solutions within the world-class customer showcases. With over 150 sets of corporate customers looking around those showcases annually, exposure and feedback for these new products and services is invaluable. Furthermore BT's Research team have ongoing relationships and collaborations with a large number of the Innovation Martlesham companies, benefiting both parties as the research formulates into consumable services. In addition to our research and development facilities, we have a Network Operations Centre which manages many of our critical platforms providing approximately 20 different services to customers including broadband, Harmonised Ethernet, 21C Core and Wi-Fi. We also have one of the largest test and integration facilities in Europe which contains network reference models required for testing a new product or feature prior to deployment in a live network or system. 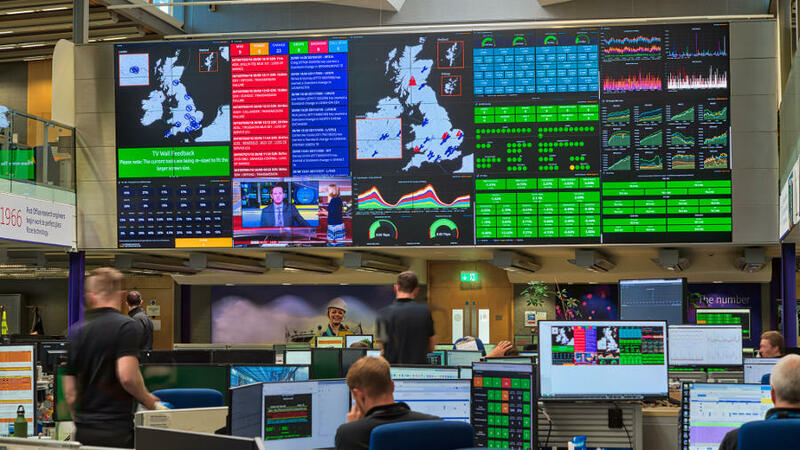 BT technologists at Adastral Park are working on some of the most exciting developments for our customers, such as the next generation of BT TV platform, new voice and data services, and communications systems and services for many of the top global brands. BT's customer showcases are a great way to show, tell and test ideas with customers. There are nine industry-themed showcases, each one jam-packed with new technologies and leading-edge concepts. The technologies on show come from a variety of sources. Some have been developed by BT researchers. Others have originated from different types of innovative companies (including a number from our Innovation Martlesham companies) and some have then been discovered by our scouts. To find out more about BT Innovation, please visit the BT PLC Innovation website.